Scary fun for everyone at any of these Halloween haunted houses in Nebraska for 2018. Lots of zombies, witches, vampires, Freddy’s and Jason’s make Halloween in Nebraska very frightening. Funtober lists all the haunted houses, haunted trails, scream parks, haunted corn mazes and more Halloween fun. Plan an October night out with your friends this Halloween at any of these haunted houses in Nebraska. More than a few thrills await you. We have separate attraction links and listings for haunted houses USA, haunted corn mazes, haunted trails, haunted zombie paintball, haunted forests, haunted hayrides, and ghost tours. Opens September 14th this season. Party at RiverWest Park with their Nightmare Theater, Bloodrush Forest of Terror. Open Friday and Saturday nights in September and Thursday through Sunday nights in October. Also camp out at Fright Overnight. Sit by the fire pits, grab some concession food, maybe sing some Scary-oke and partake in 3 kinds of terror at Eagle Hollow Haunts. Doors open at 7:30 pm. Tickets are $25 to go through the haunts and hangout on the midway. Visit any Friday and Saturday beginning October 5th. The 3 main haunt attractions are Luminon’s 3D about an alien world, Night Terror about post apocalyptic horror, and Darklands a haunted trail. Doors close at 11:30 pm. Haunted Hollow is a full scary entertainment complex. You can enjoy the Carriage House Café, public bonfires, market and souvenirs, try shoot sasquatch, or the corn toss. Doors open at 7 pm. The haunted attractions are themed around a 3 story 130 year old real haunted house. Visit Mike Myers house, the cemetery, the masusoleum, the barn maze, Nebraska Chainsaw Massacre, the Hearbeat Suspended Bridge, and more. Haunted Hollow haunted houses are open nearly every day from late September through October 31st. The hours on Friday and Saturday are 7 pm to 12 am. All other nights they close at 10 pm. Check their website for details on live bands playing at the attraction certain nights. The attraction opens September 14th. Tickets to Mystery Manor are $14. On Friday and Saturday the hours are Dusk to 12:00 am or 1:00 am. All other nights the attraction is open Dusk until 10 pm. Open Wednesday through Sunday nights in October. This is a real house with a real murder history, hacked up body parts, and a shallow grave. Move through this haunt quickly to avoid the real frights. Check their web page for discount coupons. Rides open September 22nd. Ranch of Terror is one of the seasonal attractions at Bellevue Berry and Pumpkin Ranch. Ranch of Terror is open Friday and Saturday nights. Bellevue Berry is open every day all year. Now celebrating more than 20 years, tickets to Ranch of Terror are $13 for each attraction or $23 for the combo pass to the Haunted Hayride and the Haunted Walk. Doors open at 7 pm. Doors close at midnight on Friday and Saturday or 10 pm on Sunday. Bellevue Berry is a very fun place to visit with lots of activities. They have a great haunt but even better pumpkin patch, seasonal events, and group activities. Scary nighttime fun begins September 28th. Located just 10 minutes outside of south Lincoln, this farm has both daytime and nighttime activities. Spend a day at the pumpkin patch or an evening at the Scary Farm. Attractions include a Haunted Hayride, Haunted Manor, Spooky Maze, and Psycho Patch woods walk. Haunt attraction opens on Friday and Saturday nights plus lots of other evenings. Ticket booth opens at 5 pm and attractions open at dusk with starting prices of $23.50. Our ZOMBIE HUNT operations team has moved to a DAYTIME ONLY! We’ve discovered through years of research that the best time for hunting the undead is Saturday and Sunday, between 10 AM – 5 PM. You must purchase a Weekend: Daytime Admission Ticket. If you choose to stick around to enjoy the nighttime frights, you can upgrade your same day, Daytime ticket at the Customer Service window to a Roca Scary Farm ticket for $12.00. Opening night is September 14th. The owners date back to 1993 and opened a number of haunted houses before opening Scary Acres in 2002 on this 20 acre property. Enjoy the bonfire and concessions as you decide to enter Master Castle, Haunted Woods, or House on the Hill. Why not try all three? Doors open at 7 pm. Scary Acres is open from 7 pm to 12:30 am on Friday and Saturday. All other nights they are open until 10:30 pm. They are open rain or shine. Scary Acres has a full range of individual and combo pass ticket prices. Scary Acres is open Friday, Saturday and Sunday nights in September and every night except Monday in Octrober. Haunt opens October 5th. Located at the old Crete Sokol Hall the owners have been scaring locals for over 20 years. The two attractions are BoneShaker and Terror. A combo ticket is $15. Haunt is open every Friday and Saturday in October. 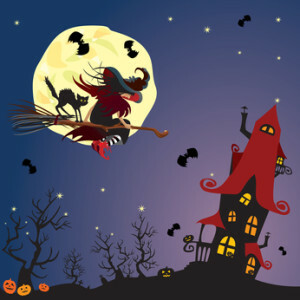 Look on the website for updated information on their Halloween Festival the last weekend in October. Doors open at 7 pm. There should be a way to find the closest haunted house to you regardless of what state it is in. Until that time, we’ll make you look at the haunted houses in nearby states to do it yourself. Have you bought a ticket to one of these haunted houses? Future visitors would be interested in hearing what you thought. Did you have fun? Was it worth the price? Would you recommend it to your friends? Any suggestions to maximize the experience? I’ll gladly publish what you send me and give you a great big hug. Bloodrush at Camp Fear is by far the best quality and scariest of them all!! They also have Dark Ritual escape room and that was really cool too!! Go check it out I highly recommend!